DETROIT A judge told a courtroom packed with lawyers Tuesday that deals between Detroit and its creditors would be better than years of "horrendous" litigation in the largest public bankruptcy in U.S. history. Eastern Michigan's chief federal judge, Gerald Rosen, opened the first formal round of mediation by giving a pep talk and introducing other experts who will work with the city and its creditors to try to reach settlements while the bankruptcy case moves separately through court. "I take this assignment with buoyancy and hope," Rosen told attorneys as he stood in the well of the courtroom, down from his usual seat on the bench. 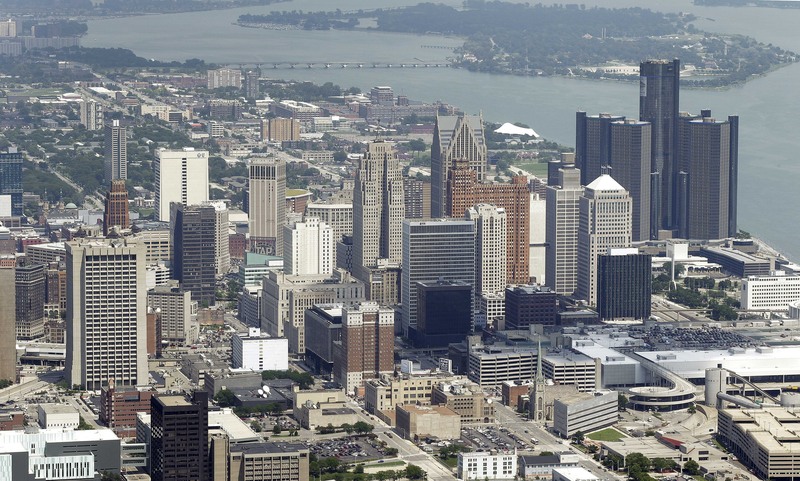 Detroit insists it can't afford its long-term debt of about $18 billion while the city's population and tax base shrink. Rosen said instant agreements would be unrealistic, but he urged all sides to talk frequently about how to strike a deal. He said "years of litigation, disputing issues in the courts, is horrendous." Reporters were allowed inside the courtroom for Rosen's remarks and the introduction of other mediators but were told to leave before Detroit emergency manager Kevyn Orr addressed the group. The other mediators are U.S. District Judge Victoria Roberts of Detroit, U.S. Bankruptcy Judge Elizabeth Perris of Oregon, U.S. District Judge Wiley Daniel of Denver, former U.S. Bankruptcy Judge David Coar of Illinois, and Eugene Driker, a Detroit-area attorney. Rosen said the group took a bus tour Monday of the "good, the bad and the ugly" of Detroit. Perris said the ride made her all the more motivated to help all sides reach an agreement. Mediation will also take place privately in October or at any other convenient time. Meanwhile, the bankruptcy case in front of Judge Steven Rhodes will move forward on a separate track. He has set a trial for late October to determine if Detroit is eligible for Chapter 9. Rosen joked during his remarks, saying the marble walls in his courtroom belong to the federal government, not the city, and can't be sold to satisfy creditors. He said the courthouse had many places for parties to meet, including the marshal's lockup "if you want to spend the night."